Justine is now excited to be taking on the role as Managing Director for The Event Talent Agency and using her passion of connecting her event industry networks with high quality event talent. Justine has spent the past 6 years as Course Director at Event Academy. And 5yrs prior to that with the international event management training Institute, placing 1000+ graduates into roles and tutoring them through to successful qualification. Justine has also worked with some of the UK’s largest companies and charities to plan and deliver first class events and live experiences (see below). She has a BSc degree in Psychology at St Mary’s Honours College, Maryland, USA, before embarking on a recruitment career for a year. She then pursued her other passion, events, as an account executive. In this role she developed her business experience and gained solid account management and logistical event skills. 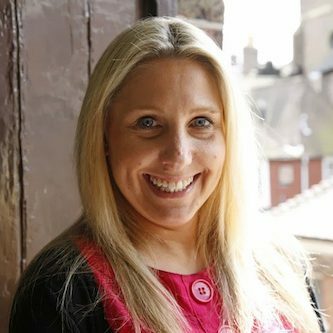 Since then Justine has worked in both the profit and non-profit sectors on a consultancy basis and has an extensive experience of working with many event agencies. Clients and employers have included WWF-UK, Haagen Dazs, Mars and AXA. Her consultancy and training over the years has meant that Justine’s list of contacts within the events agency is unparalleled. Justine also co-ordinates a number of international hospitality and sporting events (working alongside celebrities and VIP’s including HRH The Prince of Wales, Martin Clunes and Matthew Pincent) as well as collaborating to secure a range of corporate sponsorship deals. Justine began her lecturing career 11 years ago and her role has been Course Director for Post Graduate and Diploma Courses from the outset. In addition to the strategic development of courses she lectured on her areas of expertise and develops students’ individual skills and soft skills as they prepare for either their work placement or the job market. Much of her time has been spent building relationships within the industry to place students in solid work placements. Justine has a particular interest in NLP and Mindfulness for training and development and has completed a number of related courses in this field. She lives in the South of England with her partner and two young boys. Justine loves to entertain and socialise and has a passion for tennis which compliments her joy of good food!